The Coalition Government’s Regional Rail Link project has taken out the prestigious Infrastructure Project of the Year award at the annual Infrastructure Partnerships Australia award ceremony, held in Sydney last night. Minister for Public Transport Terry Mulder said the award was deserved recognition for the multi-billion dollar rail project, which unlike virtually all of the former Labor Government’s projects is ahead of time and on budget. “The Coalition Government’s Regional Rail Link is an exceptional project, that has been extremely well run, and this award is recognition of that,” Mr Mulder said. “This complex project is on time and on budget, and will transform Victoria’s rail network, delivering significant benefits for Victorians. “Regional Rail Link will enable more frequent and reliable train services to Melbourne’s west and Victoria’s major regional centres of Geelong, Ballarat and Bendigo, creating capacity for more than 50,000 extra train trips per day. Mr Mulder said the Infrastructure Project of the Year was the most prestigious of the award categories and acknowledged the innovation and excellence of Australia’s public and private sectors in the delivery of infrastructure. Regional Rail Link Authority Chairman Peter Watson, who was in Sydney to accept the award, acknowledged the hard work of everyone involved in the project, its transport partners and the community. 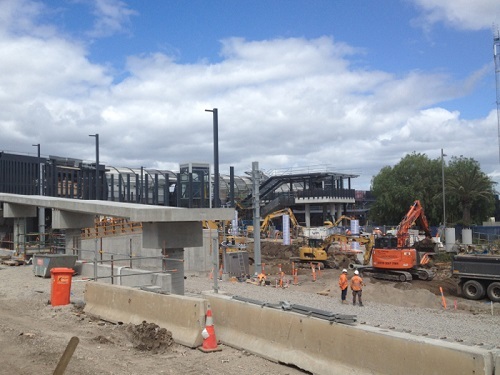 “The success of Regional Rail link is a testament to the hard work of everyone on the project: the managers, engineers, construction workers, support staff – everyone,” Mr Watson said. “It’s also a testament to the collaborative relationships we have with a range of partners across industry, government, and the community. “All along we have wanted to be an example of best practice infrastructure delivery, and so far, I think we’ve done that. The multi-billion dollar Regional Rail Link project is jointly funded by the Commonwealth and Victorian governments. More information about the project is available at www.regionalraillink.vic.gov.au or by following @rrlproject on Twitter. 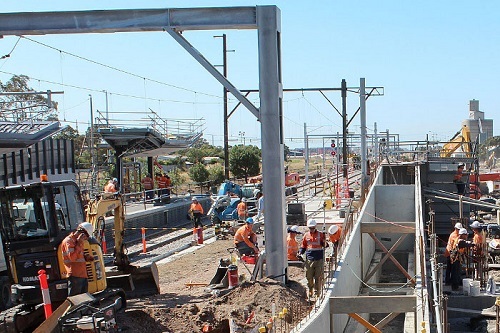 The following companies were recognised for their involvement in the delivery of the project: Regional Rail Link Authority; Department of Infrastructure and Regional Development; AECOM; Alstom; Balfour Beatty; Coleman Rail; Downer EDI; GHD; John Holland; Lend Lease Engineering; Leighton Contractors; Metro Trains Melbourne Pty Ltd (MTM); Parsons Brinckerhoff; RPS; Jacobs Engineering; Thiess; UGL and V/Line.